Matt Wuerker has been POLITICO's editorial cartoonist and illustrator since its launch. 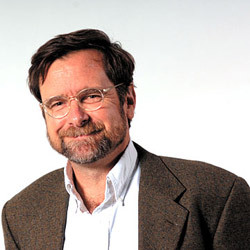 In 2012, he won the Pulitzer Prize for editorial cartooning, POLITICO's first Pulitzer win. In 2009, he was a finalist for the Pulitzer Prize in editorial cartooning. Over the past 25 years, his work has appeared in publications ranging from The Washington Post, The Los Angeles Times and The New York Times to Smithsonian and the Nation, among many others. Along the way, he's also pursued other artistic tangents that have included clay animation, outdoor murals, teaching cartooning in prison (as a visitor, not as an inmate), book illustration and even animating a number of music videos. Matt thinks Saul Steinberg is a cartoon god and the Peter Principle explains pretty much everything, and he also thinks the maxim "If you're not confused, you're just not thinking clearly" is one of the wisest things ever said. Matt lives in Washington, D.C., in close proximity to the National Zoo and the Swiss Embassy. Depending how bad things get, he hopes to find asylum in one or the other.